The Singapore Zoo has a great reputation, and for good reason. 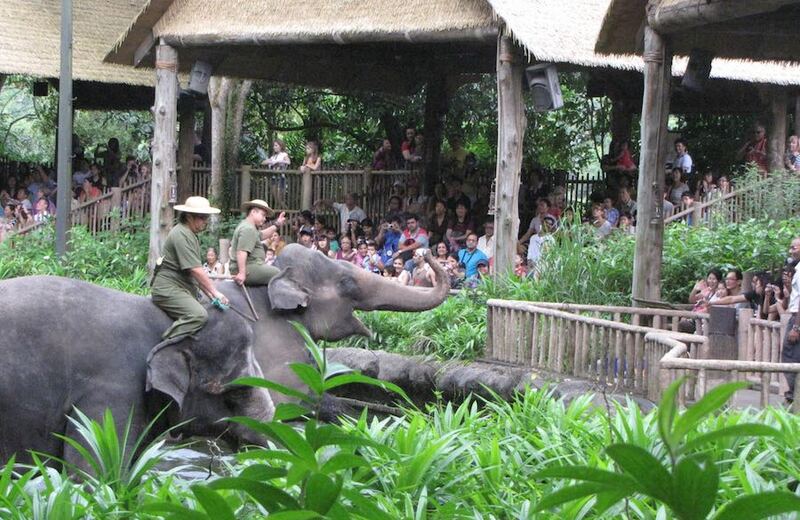 It isn’t cheap to get in, but for that money you do get a very nicely designed zoo. The zoo also supports various conservation efforts and research projects. I took these photos on my visit to the zoo a few years ago. 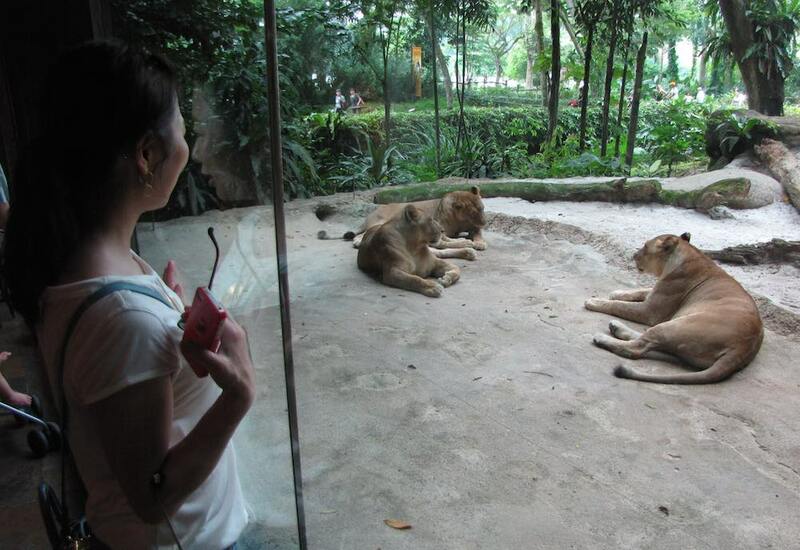 The viewing options were often excellent, like this great view of the lions. There were several shows in addition to feeding times and talks by wildlife experts. If I remember right these were free (or some were free?). The National Museum of Korea is a wonderful tourist destination in Seoul. I recommend it very highly. The modern museum (built in 2005) is very spacious and filled with wonderful works of art. 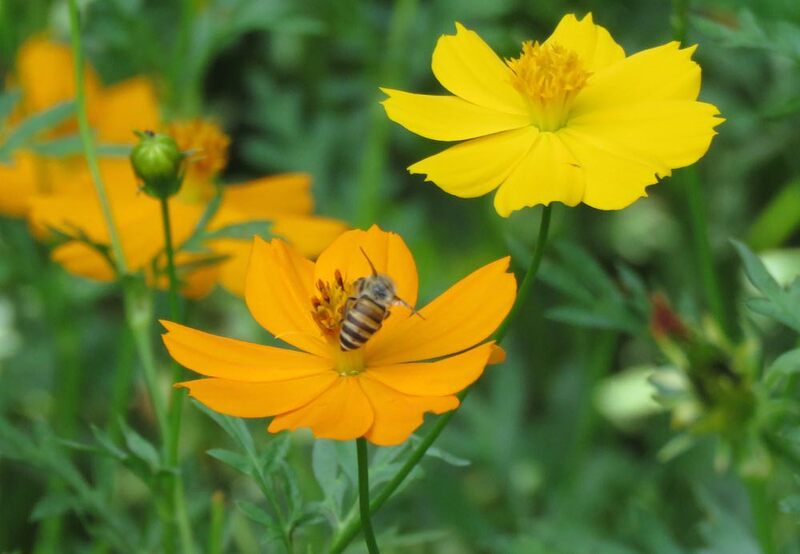 It provides a sense of the long history of Korea. It is very well laid out and includes enough information on the works to give you a sense of the context. Painted clay pots, Astana, Turfan 6th-7th century. 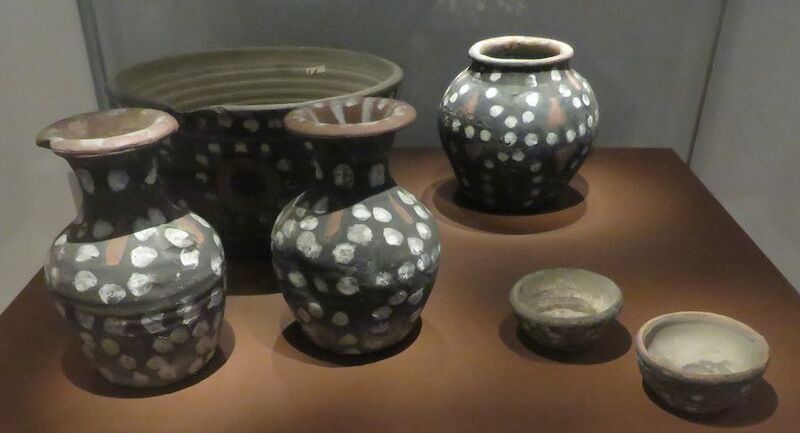 These vessels decorated with pearl rounded patterns were made to be buried with the dead in tombs. The design originated in Sasanian, Persia and spread across Asia. 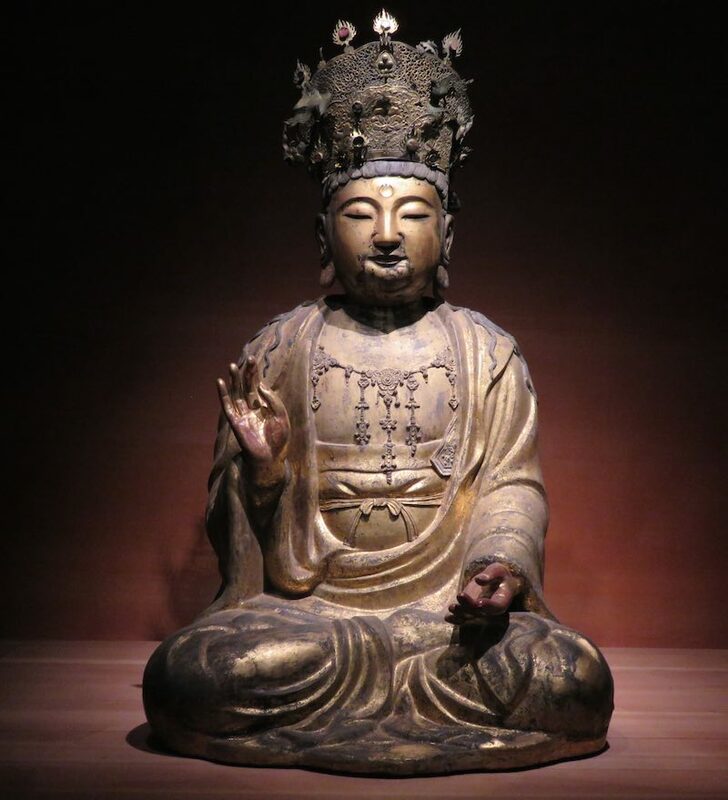 The museum displays relics and artifacts in six permanent exhibition galleries: Prehistory and Ancient History, Medieval and Early Modern History, Calligraphy and Painting, Asian Art, Sculpture and Crafts as well as one gallery highlighting donations. 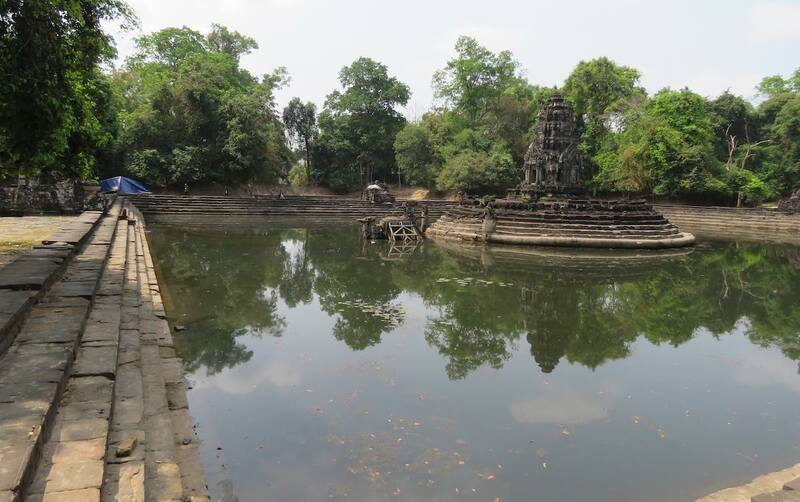 Neak Pean (or Neak Poan) (in Khmer: ប្រាសាទនាគព័ន្ធ) was built by Jayavarman VII in the 12th century as a Buddhist temple. The site is within a large reservoir (which measured 3500 meters by 900 meters). 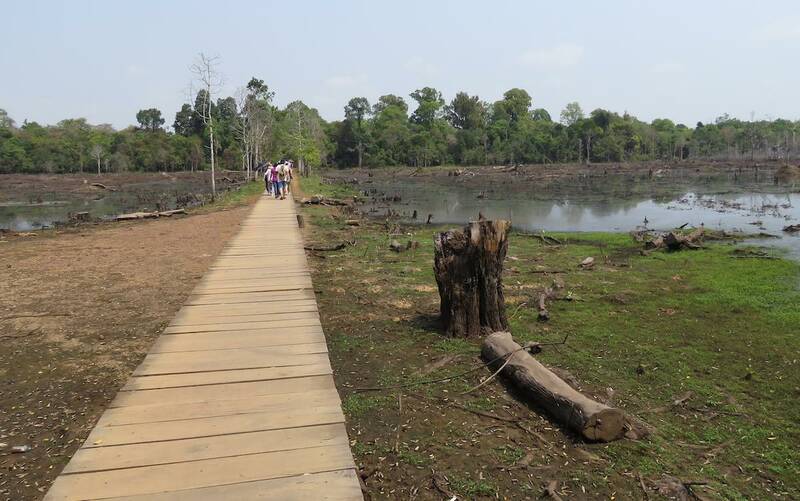 The walkway takes you to the man made island that contains the Neak Pean temple. 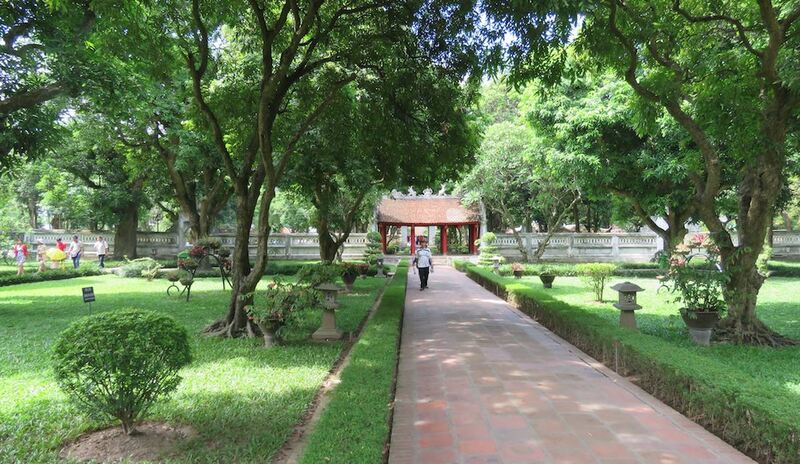 The temple is within the Angkor archaeological park area. I rode my bike between the many large and small temples while living in Siem Reap, Cambodia for a couple months. You can easily see 10 of these small temples and few large ones by bike in one day. You do get some exercise (which for me was a plus) and it isn’t very hard as the entire area is very flat. Of course the area is also usually hot. You can rent bikes in town for a few US$ a day. 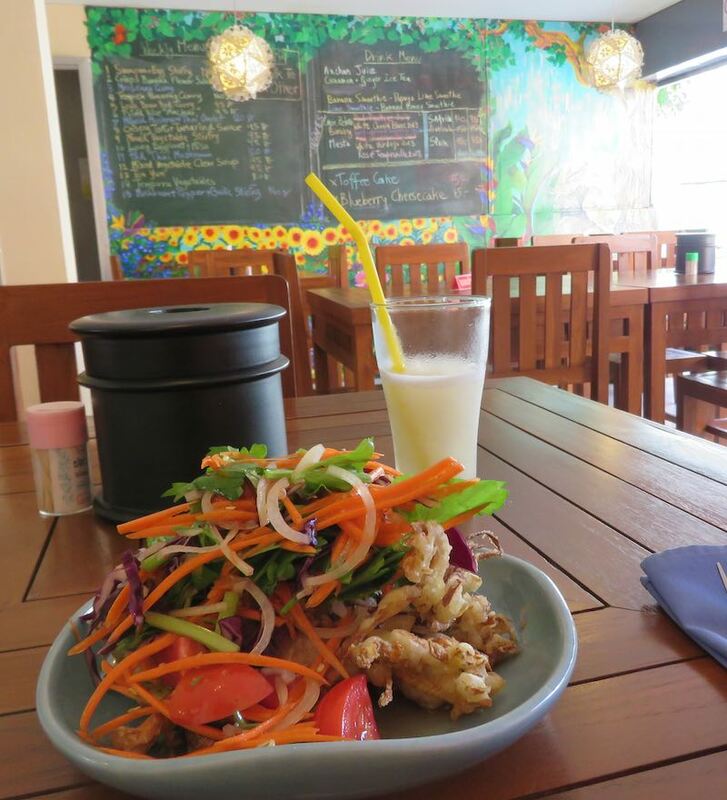 You can also rent a tuk tuk or electric bikes. 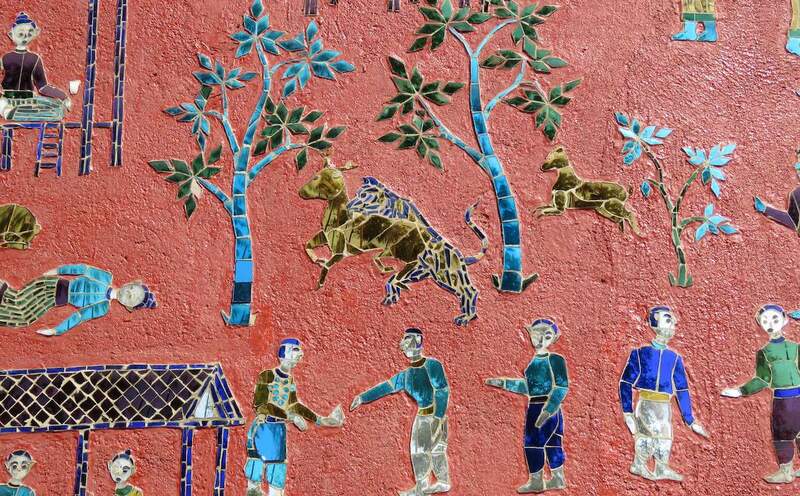 I really like the mosaic artwork on the walls of buildings at Wat Xieng Thong in Luang Prabang, Laos. Luang Prabang is full of interesting temples and is a great place to walk around. 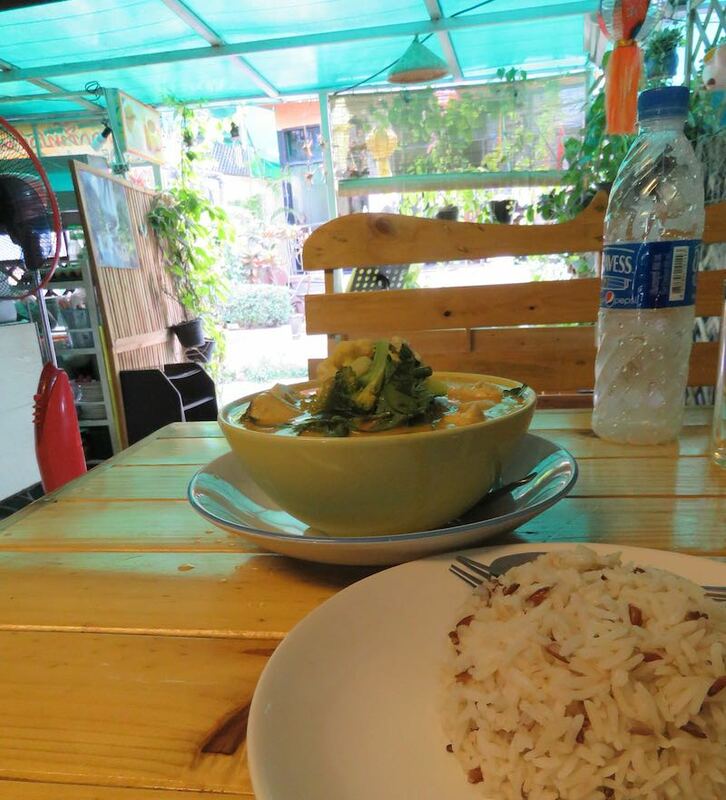 The old city has been designated a World Heritage Site by the UN and I highly enjoyed staying in Luang Prabang. 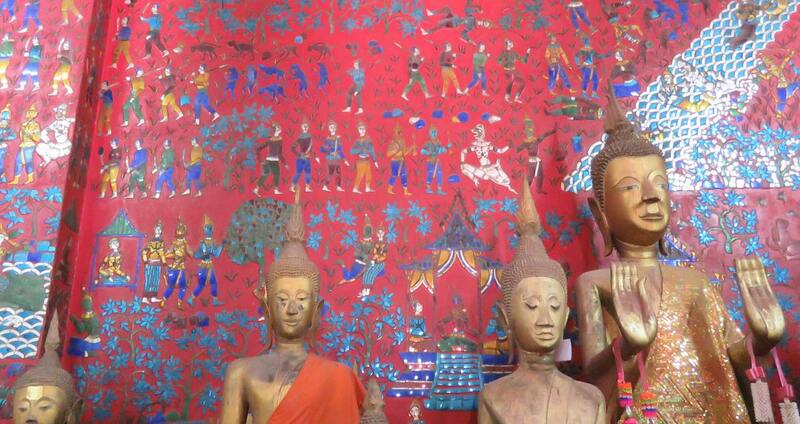 Buddha statues in front of a mosaic wall inside a Wat Xieng Thong temple building. 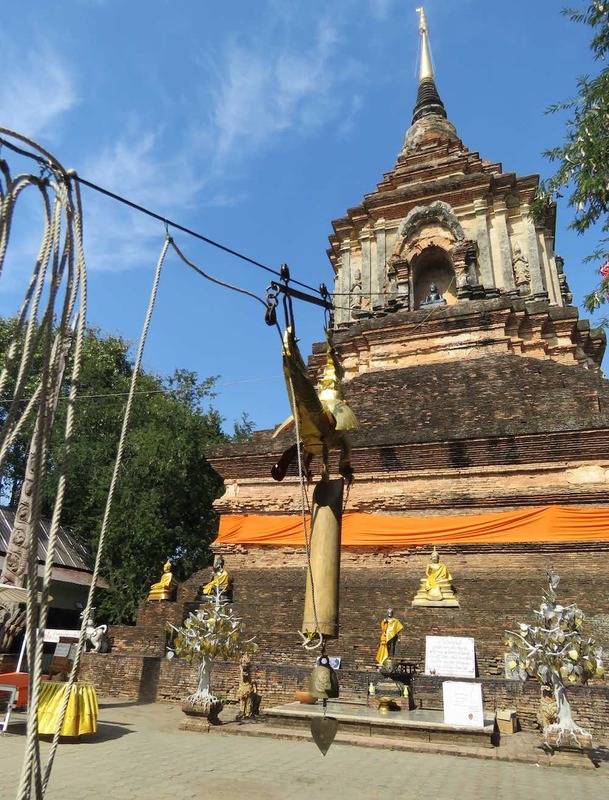 Chiang Mai, Thailand is home to many ancient Buddhist temples. Wat Lok Molee (or Wat Lok Moli) sits just North of the moat surrounding the old city. The “zip line” is to bring something up to the Buddha in the Chendi. I don’t know what, but maybe offerings. I have seen the at some other temples but not many. Although it is know this temple was originally built in the 14th century the architecture of the Chendi (also called stupa or pagoda) dates to the 16th century. 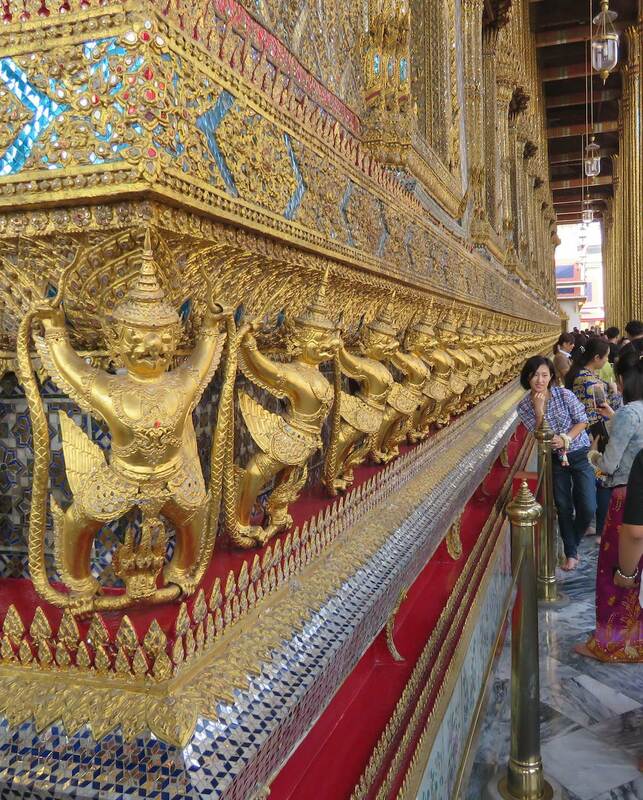 I had very positive memories of the photogenic nature of the Grand Palace in Bangkok. But my photos from my last trip were not digital and I haven’t seen them in over 10 years. I was worried I would be disappointed. I wasn’t. 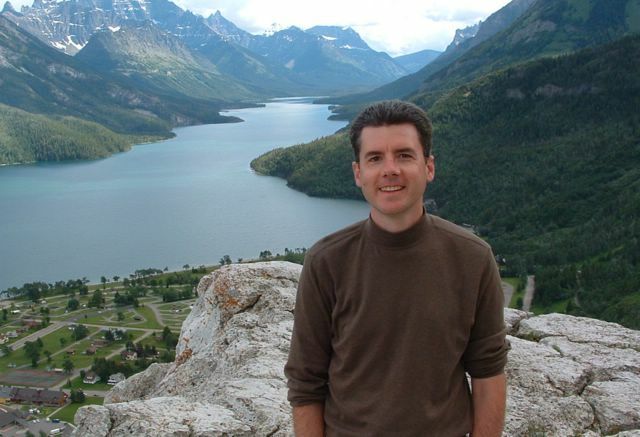 One of the most enjoyable days of my life began at Glacier National Park (USA) and continued in the Canadian portion of the park (Waterton International Peace Park). The parks share a long border and amazing natural beauty. 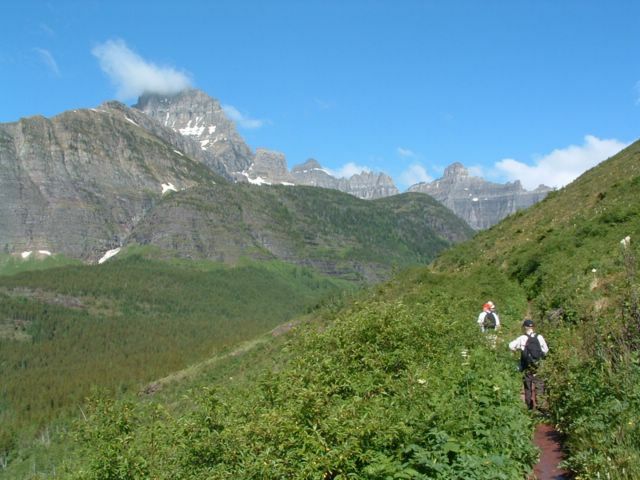 This magical day was my fifth day at Glacier National Park, which had already been wonderful.